As we grow older, we all start to notice some changes in our ability to remember things. Maybe you've gone into the kitchen and can't remember why, or can't recall a familiar name during a conversation. You may even miss an appointment because it slipped your mind. Memory lapses can occur at any age, but we tend to get more upset by them as we get older because we fear they're a sign of dementia, or loss of intellectual function. 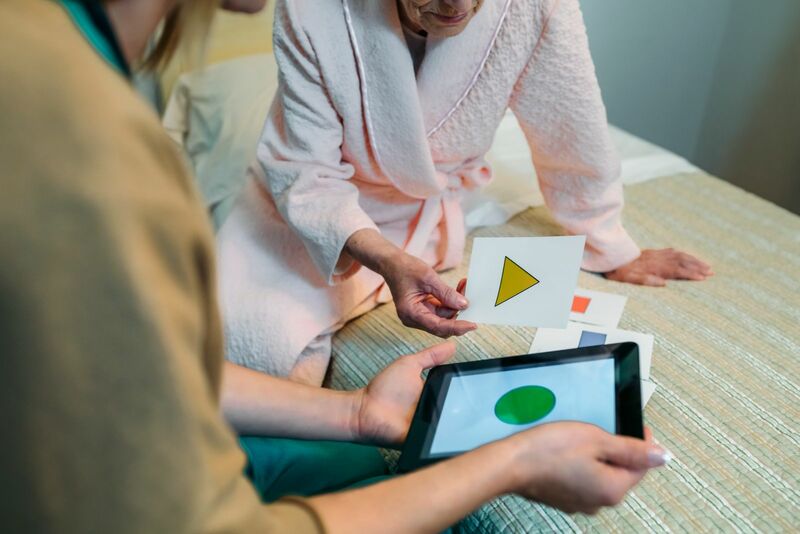 The fact is, significant memory loss in older people isn't a normal part of aging—but is due to organic disorders, brain injury, or neurological illness, with Alzheimer's being among the most feared. Most of the fleeting memory problems that we experience with age reflect normal changes in the structure and function of the brain. These changes can slow certain cognitive processes, making it a bit harder to learn new things quickly or screen out distractions that can interfere with memory and learning. Granted, these changes can be frustrating and may seem far from benign when we need to learn new skills or juggle myriad responsibilities. Thanks to decades of research, there are various strategies we can use to protect and sharpen our minds. Here are seven you might try. A higher level of education is associated with better mental functioning in old age. Experts think that advanced education may help keep memory strong by getting a person into the habit of being mentally active. Challenging your brain with mental exercise is believed to activate processes that help maintain individual brain cells and stimulate communication among them. Many people have jobs that keep them mentally active, but pursuing a hobby or learning a new skill can function the same way. Read; join a book group; play chess or bridge; write your life story; do crossword or jigsaw puzzles; take a class; pursue music or art; design a new garden layout. At work, propose or volunteer for a project that involves a skill you don't usually use. Building and preserving brain connections is an ongoing process, so make lifelong learning a priority. The more senses you use in learning something, the more of your brain will be involved in retaining the memory. In one study, adults were shown a series of emotionally neutral images, each presented along with a smell. They were not asked to remember what they saw. Later, they were shown a set of images, this time without odors, and asked to indicate which they'd seen before. They had excellent recall for all odor-paired pictures, and especially for those associated with pleasant smells. Brain imaging indicated that the piriform cortex, the main odor-processing region of the brain, became active when people saw objects originally paired with odors, even though the smells were no longer present and the subjects hadn't tried to remember them. So challenge all your senses as you venture into the unfamiliar. For example, try to guess the ingredients as you smell and taste a new restaurant dish. Give sculpting or ceramics a try, noticing the feel and smell of the materials you're using. Myths about aging can contribute to a failing memory. Middle-aged and older learners do worse on memory tasks when they're exposed to negative stereotypes about aging and memory, and better when the messages are positive about memory preservation into old age. People who believe that they are not in control of their memory function are less likely to work at maintaining or improving their memory skills and therefore are more likely to experience cognitive decline. If you believe you can improve and you translate that belief into practice, you have a better chance of keeping your mind sharp. If you don't need to use mental energy remembering where you laid your keys or the time of your granddaughter's birthday party, you'll be better able to concentrate on learning and remembering new and important things. Take advantage of calendars and planners, maps, shopping lists, file folders, and address books to keep routine information accessible. Designate a place at home for your glasses, purse, keys, and other items you use often. Remove clutter from your office or home to minimize distractions, so you can focus on new information that you want to remember. When you want to remember something you've just heard, read, or thought about, repeat it out loud or write it down. That way, you reinforce the memory or connection. For example, if you've just been told someone's name, use it when you speak with him or her: "So, John, where did you meet Camille?" If you place one of your belongings somewhere other than its usual spot, tell yourself out loud what you've done. And don't hesitate to ask for information to be repeated. Repetition is most potent as a learning tool when it's properly timed. It's best not to repeat something many times in a short period, as if you were cramming for an exam. Instead, re-study the essentials after increasingly longer periods of time — once an hour, then every few hours, then every day. Spacing out periods of study is particularly valuable when you are trying to master complicated information, such as the details of a new work assignment. Research shows that spaced rehearsal improves recall not only in healthy people but also in those with certain physically based cognitive problems, such as those associated with multiple sclerosis. This is a creative way to remember lists. Mnemonic devices can take the form of acronyms (such as RICE to remember first-aid advice for injured limbs: Rest, Ice, Compression, and Elevation) or sentences (such as the classic "Every good boy does fine" to remember the musical notes E, G, B, D, and F on the lines of the treble clef). Each year, osteoporosis contributes to more than 2 million bone fractures in the United States. 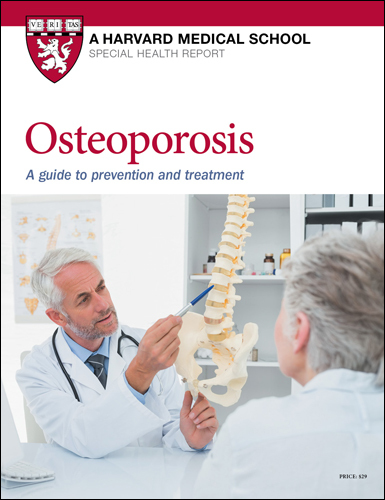 This Special Health Report, Osteoporosis: A guide to prevention and treatment, can help you keep your bones strong and healthy, and avoid fractures. It describes how you can prevent and treat osteoporosis through diet, exercise, and medications. You'll also find advice on choosing a calcium supplement, tips on fall-proofing your home, and help with putting together a personalized plan to preserve or boost your bone strength. Does carbonated water harm bones? Q. I've heard that club soda, seltzer water, and sparkling mineral waters rob the bones of calcium. Is this true? A. Warnings about the harmful effects of carbonated beverages on bone emerge from time to time. The theory is that the phosphoric acid (phosphate) used to enhance flavor in some carbonated beverages can interfere with calcium absorption and result in the loss of calcium from bone. Fortunately, there's no good evidence that a high phosphate intake affects bone metabolism or bone density. Still, carbonated beverages have long been associated with low bone density and fractures in adolescent girls. To investigate this association in adults, researchers at Tufts University examined data from 2,500 women and men (ages 49 to 69) involved in the Framingham Osteoporosis Study. They assessed dietary intake and measured bone mineral density (BMD) at the spine and hip. Non-cola carbonated drinks were not associated with low BMD, but cola intake was associated with lower BMD at the hip (though not the spine) in the women, but not in the men. The more cola a woman drank, the lower her BMD. Women who drank more cola didn't drink less milk, but they did have a lower intake of calcium. In 2005, the British Journal of Nutrition published the results of a small clinical trial comparing healthy postmenopausal women who drank about one quart of noncarbonated mineral water daily with those who drank the same amount of carbonated mineral water. After eight weeks, blood and urine tests for bone turnover showed no difference between the two groups. It looks as though drinking seltzer water doesn't contribute to osteoporosis or increase fracture risk in women. The authors of the cola study suggested that the caffeine in the colas may account for the cola-drinkers' lower BMD. Other studies have also reported an association between caffeine and lower BMD. In some cases, soft drinks displace calcium-rich beverages, such as milk, and experts think that this, rather than any direct effect of soft drinks on bone, may explain the effect on BMD in adolescent girls. So feel free to enjoy seltzer water without worrying, but don't overdo the caffeinated beverages, whether carbonated or not. And if you suspect that by drinking seltzer water, coffee, colas, or other soft drinks you may be reducing your intake of healthy beverages — such as calcium-fortified juices or vitamin D–fortified low-fat or skim milk — make sure you get enough calcium (1,200 to 1,500 mg per day) from other sources to compensate. Sitting for long stretches of time increases the odds of illness and untimely death. Here are some simple tricks to get yourself out of your chair: While you're on the phone, stand up and walk around. When watching TV, stand and pace during commercials. Instead of sitting at your makeup table, stand up. In general, try to get on your feet every 30 minutes.